The double sided quarter can be used for a number of different magic tricks or as a gag coin for when doing a coin toss. 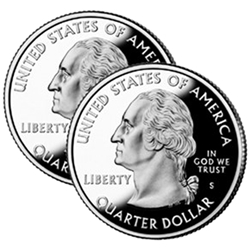 The double sided U.S. Quarter Dollar is made from two real coins. Made in the USA. Available as heads or tails.